Time for some Oz-related reviews! First of all, the International Wizard of Oz Club (I need to renew my membership in that, don’t I?) 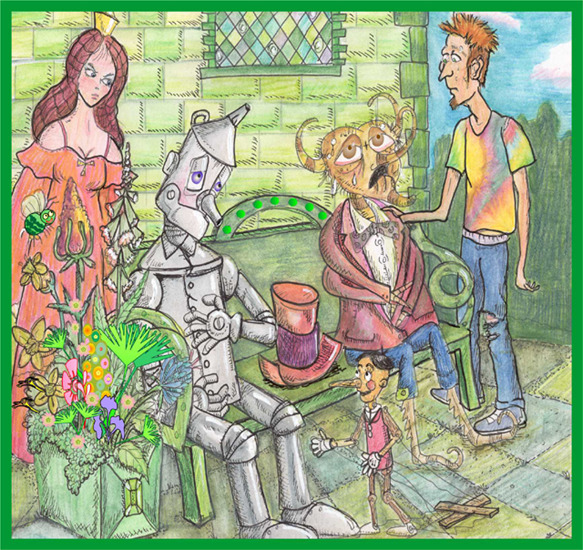 is offering an insert for Gina Wickwar’s Toto of Oz. It involves Button-Bright accidentally bringing a giraffe-shaped cookie to life with some pellets he took from the workshop of the Wizard of Oz, then defending it from ants. 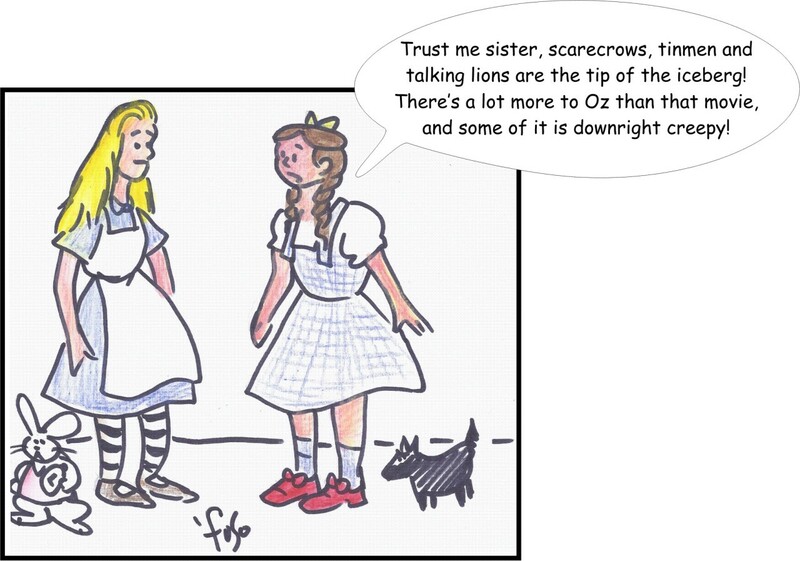 Although Toto features in it, I don’t see how it would fit into the existing book. I wouldn’t mind seeing the Cookie Giraffe appear in a more important role later on. 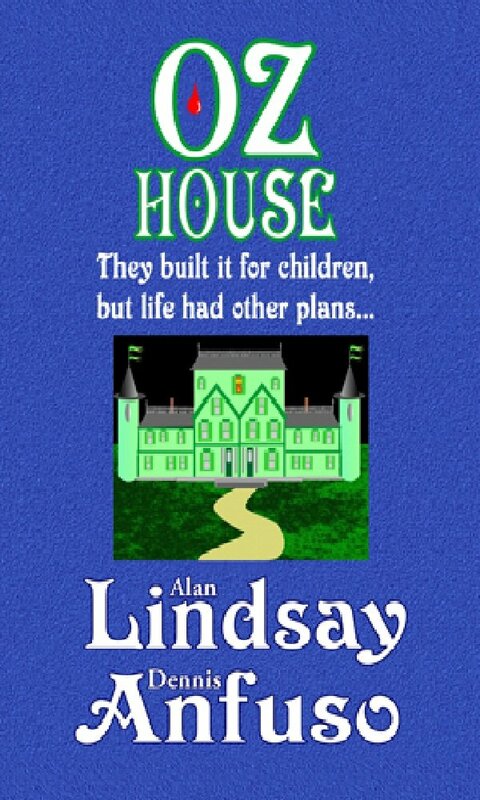 Oz House, by Alan Lindsay and Dennis Anfuso – At a children’s home in New Hampshire dedicated to and designed based on fantasy books, kids have been disappearing, and a social worker is threatening to shut them down. As it turns out, the decorative wardrobe actually can be used as a portal to various fictional worlds, including those of the Brothers Grimm, Hans Christian Andersen, Mother Goose, and of course Oz. There are also brief references to other works for which copyright prevents a significant role, like Narnia and Middle-Earth. One little girl even visits SpongeBob’s Bikini Bottom, and there’s a hint that Hyrule could potentially be reached as well. The magical worlds all work somewhat differently, some of them essentially transporting people into the story itself like in Thursday Next’s BookWorld, and others operating in a more linear fashion. As the travel between worlds starts to take its toll on the fabric of reality (such as it is in fairyland), the world-hoppers have to find their way back to where they belong. Humpty Dumpty, Rumpelstiltskin, and Pinocchio all play important parts, the egg having his Carrollian personality, the dwarf grumpy but ultimately helpful, and the puppet just as bratty as Carlo Collodi made him (there are a few comments about how much Disney changed the story). The pacing seems a little off and the characters can be difficult to keep straight, but ultimately I found it a clever celebration of children’s fantasy. I would also highly recommend the Tumblr page, which includes comics based on Oz and other fantasies. This entry was posted in Authors, Book Reviews, Comics, Dennis Anfuso, Fairy Tales, Gina Wickwar, Lewis Carroll, Nursery Rhymes, Oz, Oz Authors and tagged alan lindsay, button-bright, carlo collodi, cookie giraffe, hans christian andersen, humpty dumpty, international wizard of oz club, mother goose, oz house, pinocchio, rumpelstiltskin, toto, toto of oz. Bookmark the permalink.